ENDE performs Black Metal since 2011. Ende are a French Black Metal band and this is their second album. This is traditionally-styled Black Metal that is both raw and atmospheric, creating frozen soundscapes with an effective use of dark melodies and icy riffs. 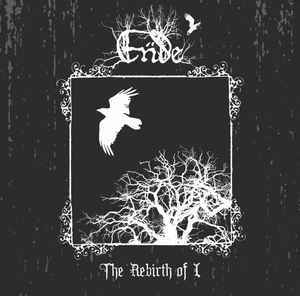 Four years after “Whispers of a Dying Earth”, which album, according to the band, was meant to remain confidential and not to have a sequel, Ende are back with their new album “The Rebirth of I”, released by the German label Obscure Abhorrence Records. With I.L. and T. Njord still being onboard, the band walks the same path as before and plays raw black metal influenced by the 90s scene. “The Rebirth of I” is indeed a very traditional album – hateful, cold and grim. Used to create heavy and bleak atmospheres, I.L. created a very homogeneous album with a crepuscular mood and filled with interludes moving the listener to barren lands where an endless rainy, windy night and a distant bell seem to herald an inevitable end. Therefore, this album needs to be listened to in one go in order to fully understand its meaning; otherwise, you might miss this fascinating journey into stormy darkness. Even though the band’s style can be described as “traditional”, the music itself feels very inspired thanks to further improved songwriting and a raw but precise production. Guitars are aggressive and nagging, drums are elaborate but dynamic and vocals are well-polished. The songs also vary between fast and mid-tempo, which is expected in that musical style but doesn’t fail to deliver great musical intensity throughout the entire album: songs like “Black Sorcery of the Great Macabre” and “Une forêt de cadavres” show how great the songwriting is with their gloomy and hopeless vibe. Being much more than just an average black metal band rehashing the same old riffs, Ende bring this musical genre back to its roots without plagiarizing their influences. Being an almost flawless highlight of 2015, this second album puts the band at the very center of the current French black metal scene.